Artisanal. 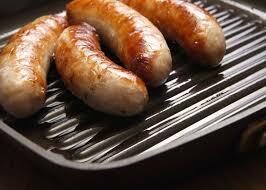 Dry Cured. Hand Crafted. Unlike Any ​Other. 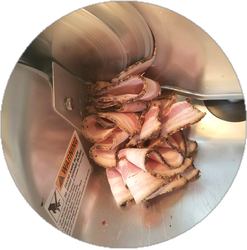 At The Fermented Pig, our mission is to provide our clients with the highest quality and tastiest Kombucha, Bacon and Charcuterie there is to offer. We are passionate about creating bold, unique flavors by hand that are bound to have our customers coming back for more. We are always listening when it comes to our customers' ideas regarding our creations. Based in Vienna, VA, we look forward to serving you in the near future! All of our ingredients come from local farms and markets, as we believe in supporting our local communities here in Vienna. 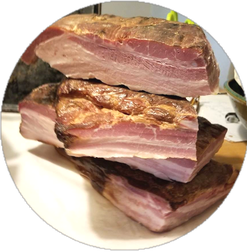 ​Along with our handcrafted charcuterie and kombucha, our handmade bacon is custom cured and smoked. Nothing makes us happier than the complete satisfaction of our customers. We pride ourselves on serving you only the best. Shop at our weekly farmers markets or online. Located in Northern Virginia, The Fermented Pig believes in providing quality food to quality people. Click the button below to learn more about how we got our start in the food industry. If you have any questions or are interested in any of our products, click the button below to contact us today!